Hi! Today I will explain the bicycle traffic rules in Kyoto city. 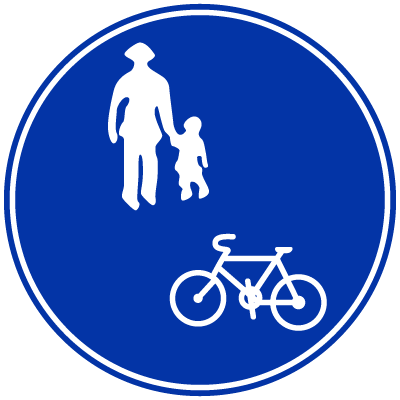 ◆You must ride bicycles on the roads. ◆Keep on the left side of the road. ◆Pedestrians have priority on sidewalks. ◆Rideing bicycles is not allowed on some streets in Kyoto city. ◆You must not ride a bicycle when you are drunk. ◆You must not use an umbrella when you ride a bike. ◆You must not ride a bike with more than one person on it.